‘Railroad to the Moon’ and ‘Deer Isle’s Undefeated America’s Cup Crews’ are new offerings from Maine authors. 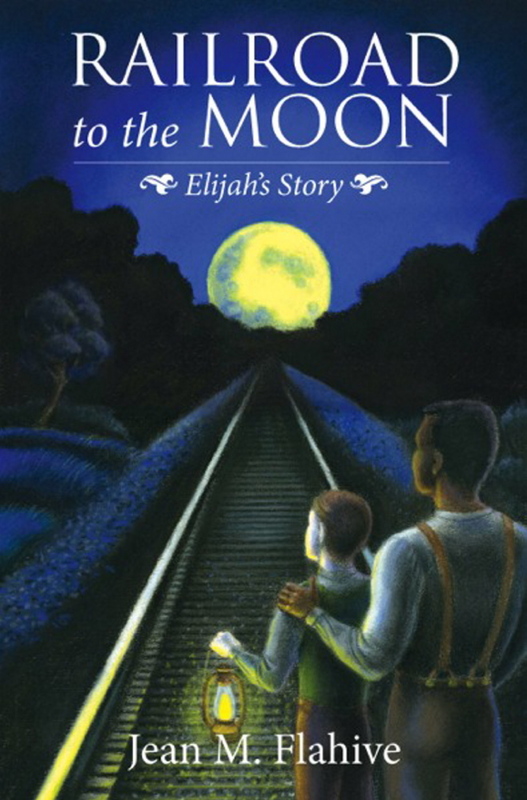 Ever since award-winning Maine author Jean Flahive wrote her Civil War novel, “Billy Boy: The Sunday Soldier of the 17th Maine” in 2007 (Islandport Press), folks have wondered what happened to Elijah, the runaway slave who fled war-torn Virginia to find sanctuary in Maine. And now we know. Six years after “Billy Boy,” Flahive has written this sequel, a fascinating story of reconstruction, recovery and redemption as the North and South heal from the war’s painful wounds. This is also a heartwarming tale of freedom, love and new beginnings for men and women who had little to hope for prior to 1865. This story does not have the sustained, suspenseful excitement of “Billy Boy,” but it does vividly and accurately portray post-Civil War history, including the remarkable efforts of religious leaders trying to establish schools to teach reading, writing, arithmetic and trade skills to freedmen. The war has just ended in April 1865 and former slave Elijah Hall is living with the Laird family on their farm in Maine. He kept his promise to Billy, but now wants to return to Virginia to find his father and perhaps even his sweetheart. This will be a dangerous journey, for southerners are still bitter about the war. Elijah travels with a former Union soldier, each man with his own reasons for returning to the state that holds such bad memories for them. Meanwhile, Reverend Oren Cheney, in Maine, is the driving force behind the creation of schools for freedmen, working tirelessly to raise funds and support (Cheney is a real historical figure — the founder of Bates College). Elijah’s adventures in Virginia are bittersweet, but Cheney’s friendship provides unexpected happiness and a positive future. This is a well-crafted historical novel, especially its depiction of Maine’s embracing of the freedmen as worthy citizens. Maine’s highly regarded maritime reputation has been well earned by generations of its sailors, but one Maine town holds a unique place in that renowned maritime history. Deer Isle is the only town — anywhere — that has provided an entire American crew for the America’s Cup yacht races, and it did it twice — in 1895 and 1899. 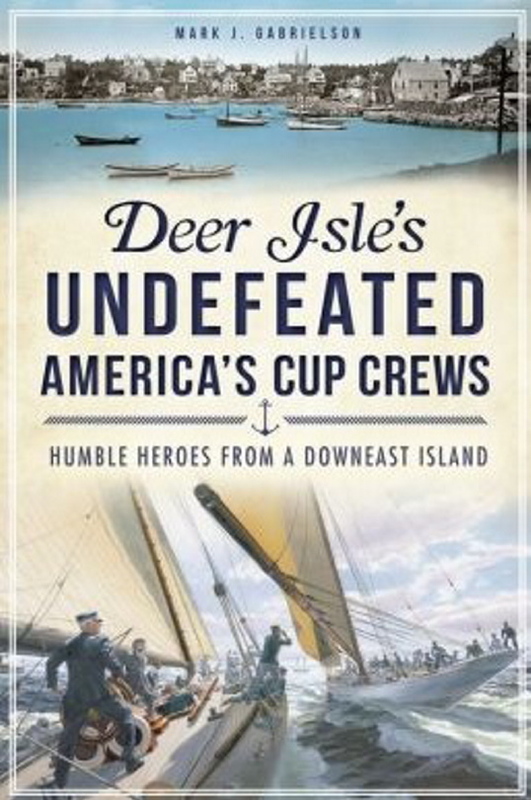 Mariner and author Mark Gabrielson’s excellent book, “Deer Isle’s Undefeated America’s Cup Crews,” tells the exciting story of those men and how they managed to win the cup twice, never losing a single race to their challengers. At that time, “the America’s Cup yacht races were the most prestigious, widely followed and expensive international sporting events in the world” (and probably still are). Gabrielson offers a brief history of the America’s Cup from its creation in 1851, revealing that by 1895 the races were big money and big business pushed by big egos. The New York Yacht Club held the cup in 1895, and it wanted an all-Yankee crew of the best sailormen, so it wisely recruited 35 men from Deer Isle to sail the “Defender” against Lord Dunraven’s British challenger, “Valkyrie.” As Gabrielson relates, the “Defender” easily beat “Valkyrie” in all three races, but the whole event was tarnished by Dunraven’s unproven accusations of cheating and ungentlemanly behavior by the Americans. Four years later, another all-Deer Isle crew sailed “Columbia” in a successful defense of the Cup against an Irish rival, “Shamrock,” owned by tea tycoon Sir Thomas Lipton. And Lipton was a much more gracious loser than Dunraven. Gabrielson vividly describes the recruiting of the Deer Isle sailormen, construction and financing of the two American boats, as well as the training and tactics of high-stakes yacht racing, explaining why Deer Isle sailors could not be beaten.